These are the winners of this year's coveted annual Marine Corps Association and Foundation Ground Awards. 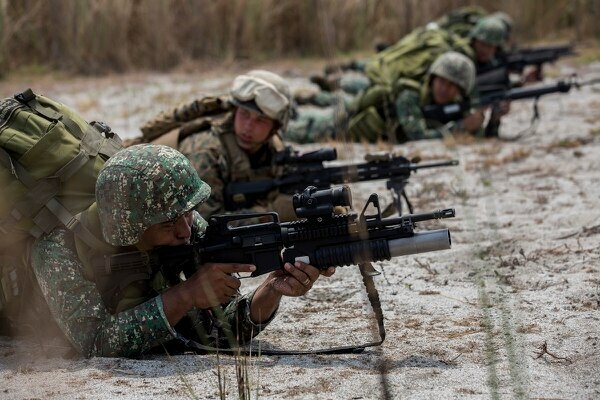 The Philippines operation uses mostly U.S. Special Operations Forces to train, advise and assist, especially with ISR assets, as the Philippine military continues to pursue remaining ISIS fighters after having cleared them from the provincial capital city of Marawi, which was seized by ISIS in September and held five months last year. The total fiscal year 2018 budget for the Philippine operation was $32.4 million, most of which was used for ISR, according to the quarterly report. But the most recent Pentagon budget request, approved by both houses of Congress and awaiting President Donald Trump’s signature, totals $108.2 million, more than a third of which, or $41.8 million, is also for ISR. About 250 U.S. troops are involved in the ongoing operation. Of those, 102 are special operations forces troops and another 14 are military contractors, according to the report. The same report notes ongoing military operations in the Lanao del Sur and Maguindanao provinces. In June, the Indonesian Defense Minister announced plans to deploy soldiers alongside both Philippines and Malaysian forces for ground patrols to root out ISIS and other violent extremist organizations. That falls in line with the three countries’ trilateral agreement for maritime patrols and ground combat operations against some of the same entities. In January the three nations along with Brunei, Singapore and Thailand launched “Our Eyes” an information sharing program aimed at counter terrorism and radicalism, according to the report. Marawi, formerly home to more than 200,000 residents, is the capital of Lanao del Sur. A U.S. Agency for International Development report cited by the IG estimated that as many as 127,000 residents may not be able to return to their homes in Marawi for years due to the overall devastation of the city from the extended siege. Capt. Kyle Rodgers, led the Special Operations Task Force 511.2 in support of Operation Pacific Eagle-Philippines from January to December 2017. 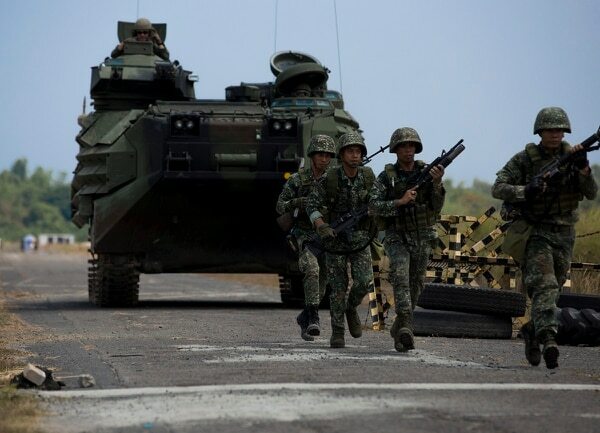 The captain conducted “advise and assist” missions with Joint Task Force Marawi, a 7,000-man unit that facilitated the retaking of the city of Marawi, according to an earlier Marine Corps Times article. That most wanted terrorist was Isnilon Hapilon, then leader of ISIS-P.
Intelligence estimates cited in the IG report put the number of ISIS fighters now in the country at about 200 and those are split up in five different jihadist factions, with 30 to 50 each. Those who remain have been characterized as “leaderless, disorganized but persistent,” in the report. Military officials worry that the remaining pockets could coalesce around a new leader and have recruitment opportunities, especially among the displaced portions of the Muslim population in and around Marawi. But some positive signs emerged recently when 27 ISIS-P members surrendered to the President Rodrigo Duterte. The president has said his government will consider amnesty for others who surrender. The report notes that Operation Pacific Eagle-Philippines is intended to be a short-term, targeted operation against ISIS and other VEOs. The operation limits the U.S. mission to countering internal threats with links to transnational threats such as al Qaeda and ISIS. And to ensure that assets are not use in the country’s drug war or against domestic threats such as rebels and political opposition. That may prove tricky, though as the report also notes that drug cartels helped provide support to ISIS, especially in the taking of Marawi and that to be effective the Philippine military would have to go after both. 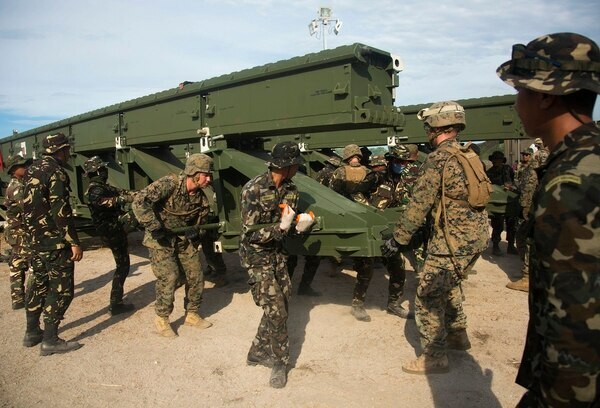 Though not broken down in detail in the budget, U.S. military assistance and cooperation with the Philippines is increasing in other ways noted in the report. The first facility, Cesar Basa Air Base in Pampanga province, is a warehouse to preposition equipment for disaster response and humanitarian crises. The other four bases that will hold future facilities are spread in the island chain. 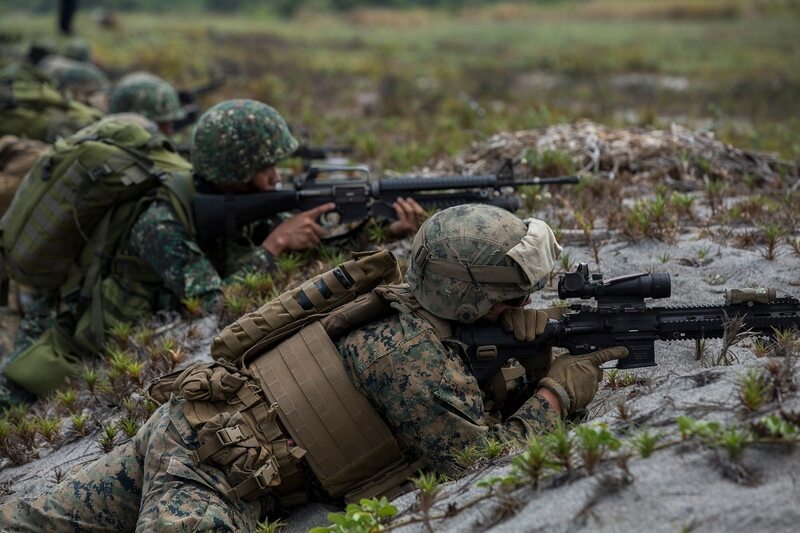 An annual joint exercise “Balikatan” also increased considerably, going from 5,000 troops participating last year between the United States and Philippines. This year 8,000 were in the exercise, 3,000 of them from the United States.